How amazing does this sound?? 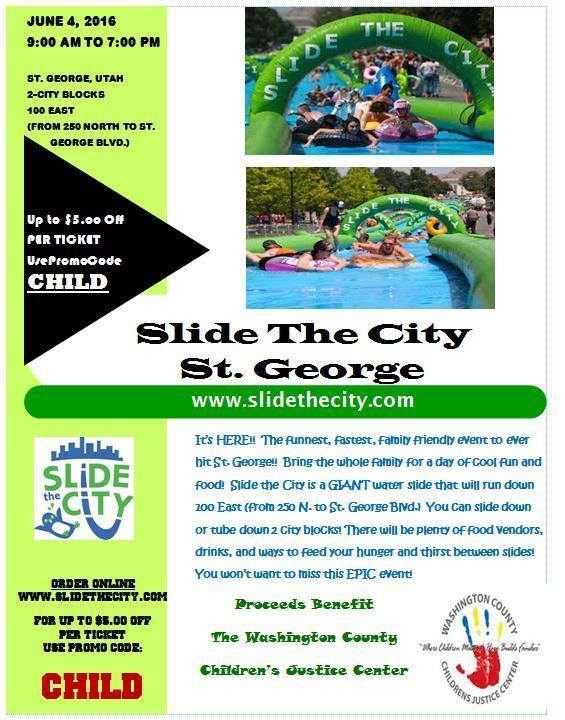 You can slide down or tube down a giant water slide for two entire blocks!! There will also be food and drinks available for purchase to keep you fed and hydrated. All of the proceeds will benefit The Washington County Children's Justice Center. The CJC is an amazing center that provides help to victims of child abuse and their families. Be sure to get your tickets to slide the city in advance to save some money. Right now you can get tickets for $35 - $99 depending on how many "slides" you want. Use promo code CHILD to save $5/ticket.